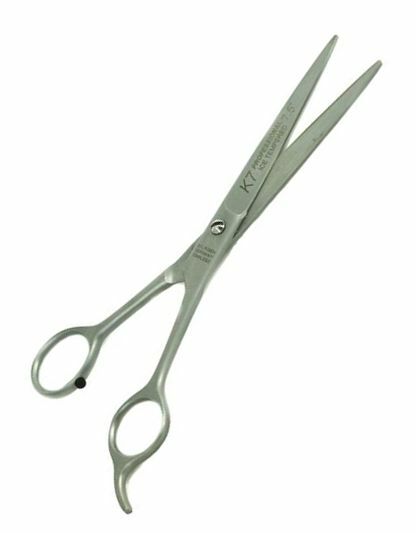 Feather offers a shear that is always sharp…always perfectly balanced…always ready for the most precise and creative cut your clients expect from you. You never waste valuable time sending in dull shears out to be sharpened. 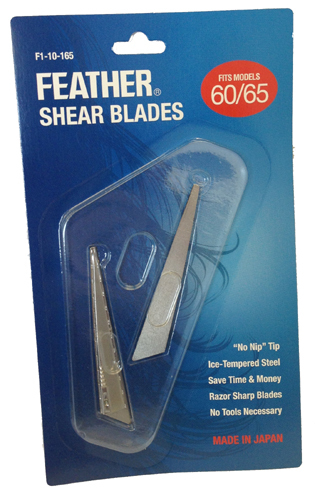 When Feather blades begin to dull (in 9 to 12 months) simply snap new Feather razor sharp blades and continue cutting. 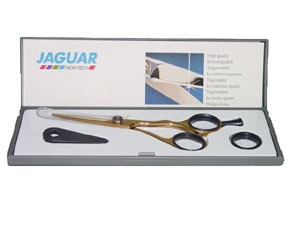 The blades are made of high quality stainless steel and ice tempered for long lasting sharpness. 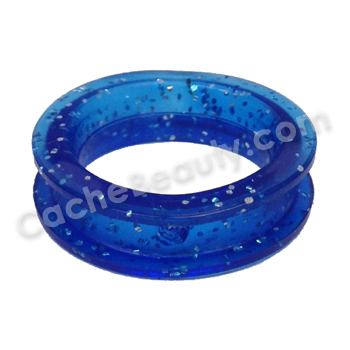 The exclusive No-Nip Tip is designed to eliminate accidental nipping your fingers. 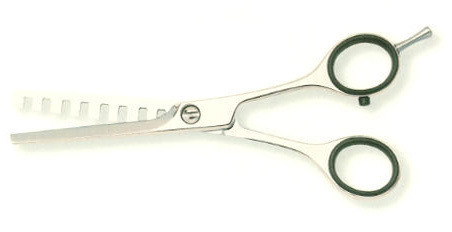 The shear frame is an indestructible precision balanced, stainless steel frame that will never warp, bend or corrode. FEATHER has perfected the art of replacement blade cutlery, offering state-of-the-art blades guaranteed to meet the demands of today's precision stylists. 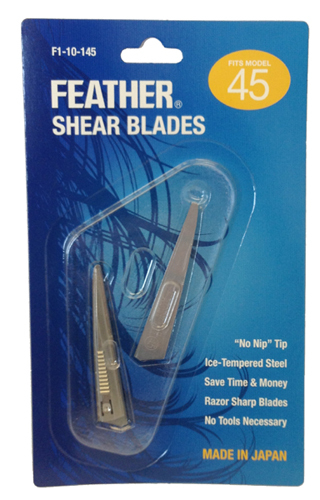 Easy to use and always razor sharp, FEATHER blades promise performance excellence with every cut. 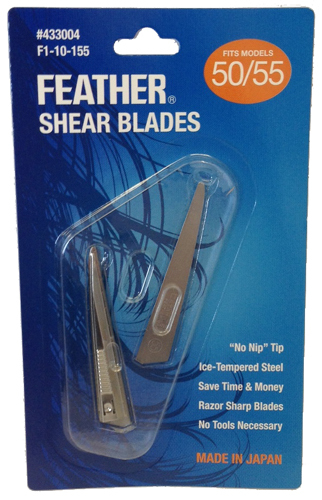 The No-Nip-Tip blades are made of high quality stainless steel. Factory machined and honed giving a consistent sharpness to all blades. 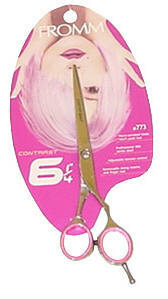 The blades are designed to be removed and replaced without the use of tools. Each shear model requires its own blade. 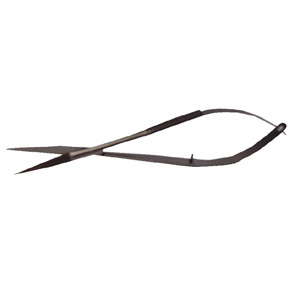 The cut is pure because the blades are ground and honed in two steps, at the same degree as hand made shears. They're ice- tempered for long lasting performance. When they dull just change the blades. The blades are identical giving you exactly the same surgical quality blade after blade. 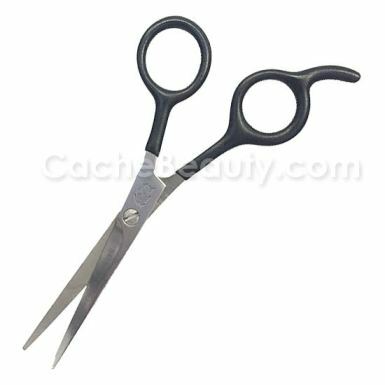 They'll automatically adjust to the scissors handle at it proper torque and alignment so there is no difference in the feel or performance of your shears. Will Special Order smaller amounts. But (6) will be the absolute minimum ordered ! The cost each will be about $ 4.00 more and a Small Order Fee of $ 10.00 will apply. 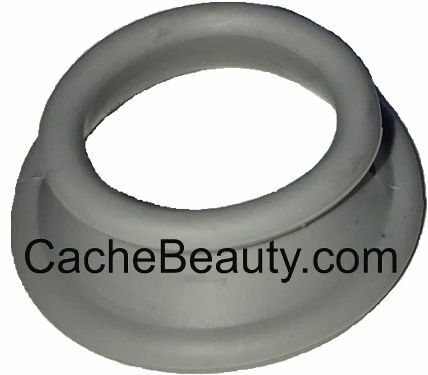 Call 800-643-0333 to place Small Order. * Jatai Blade Glide is an innovative silky smooth lotion that instantly helps the razor blade glide smoothly through your hair and on the skin! * Blade Glide contains silicone, Provitamin B5, purified water and cationic conditioners. * Perfect for helping you cut hair and shaving. 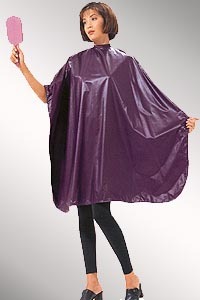 * Sizes available: 8 fl. oz. or 2 fl. oz. 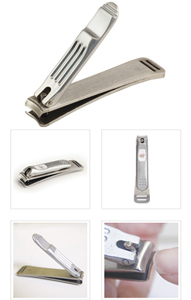 * Best selling fingernail clipper! Our nail clippers are amazing precision tools. 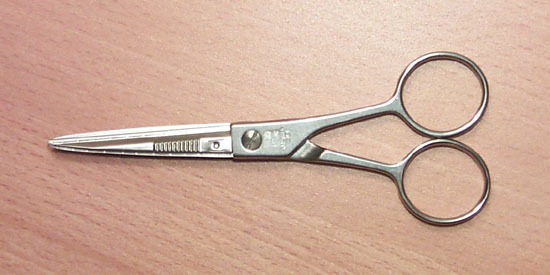 Nail clipping has been for a long time an unpleasant chore mostly due to the tool not performing. Therefore you have come to accept the poor cutting quality of most budget clippers. 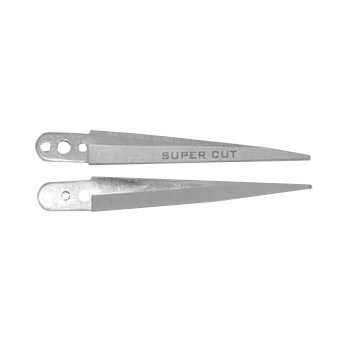 Unfortunately, for those of us with very hard nails, the cheap clippers can cause splitting and tearing of the nail, and usually leaves a rather rough edge. This Stainless Steel Nail Clipper is hand-grinded and honed for precise cutting. It is twice tempered for long lasting sharpness. Minimal effort required to cut through the thickest nails. 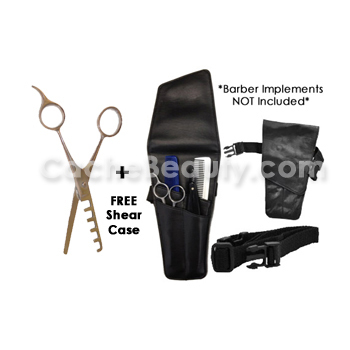 * For a limited time, a shear case is included for FREE! Ice tempered stainless steel, hollow ground cutting edges, both blades hand honed (4 stage fine honing plus hand finishing) ergonomic design, detachable finger rest, soft rubber stopper. Vario set screw for adjustment of the tension ensuring a perfect cutting action at all times. 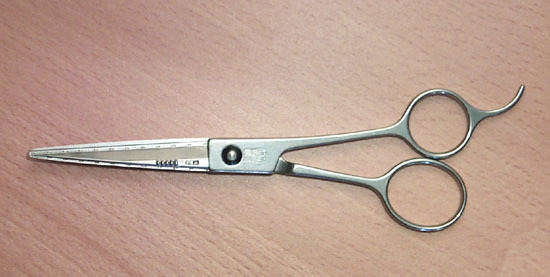 The scissors for the top stylist for all hair cutting techniques. 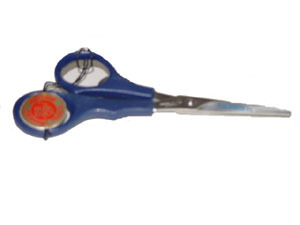 Super light action, razor sharp, suitable for slice cutting with a sharpness that never dulls. 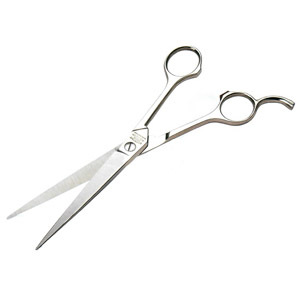 Made by American Craftsman, SuperCut is America's best selling shears. 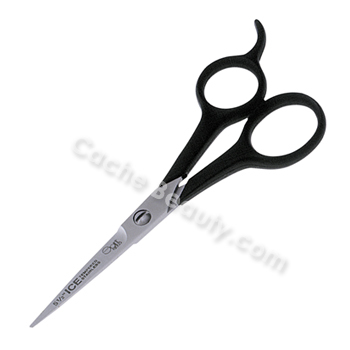 The detachable blades guarantee the sharpest, easiest cutting ever. No more sharpening. Throw blades away and get new blades for less than the cost of sharpening. 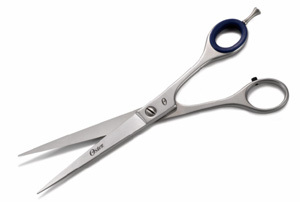 America's most popular shears are now available in longer-lasting, easier-cutting stainless steel blades! 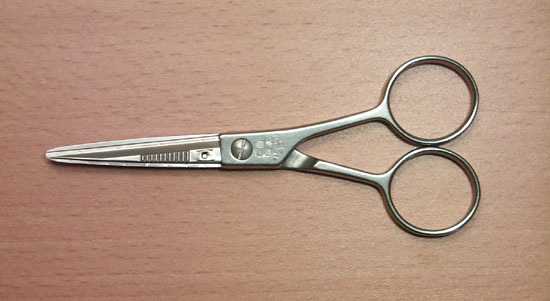 Only the finest stainless steel is used to produce these shears. Can't rust or tarnish. Blades are hollow ground & one corrugated (Serrated) for the sharpest cutting edge. 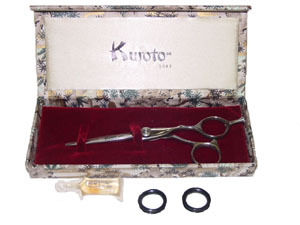 Cuts any type hair & so easy to change blades. The most satisfying & economical shear you'll ever use. Keep a set of quick-change blades on hand. Simply replace dull blades with new sharp ones. 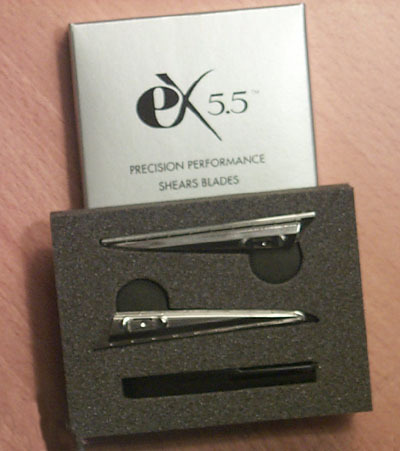 It's like getting a new pair of shears at a price less than sharpening costs. Throw dull blades away! Keep a set of quick-change replacement blades on hand. Simply replace dull blades with these new sharp ones. It's like getting new shears at a price less than sharpening costs. Blades fit only new style No. 44 SuperCut shears. 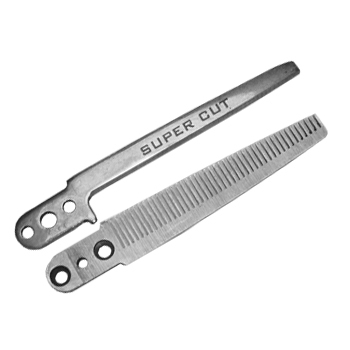 Used for heavy and all-purpose thinning. Each tooth has super-fine V notch for smooth, extra-sharp cutting. 7-1/2" length with finger rest. * Alloy steel blades for No. 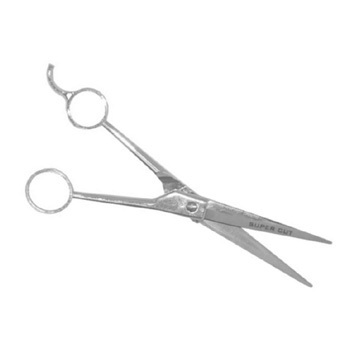 22T Supercut Taper & Thinning Shears. * Has 46 Extra-Fine Teeth. 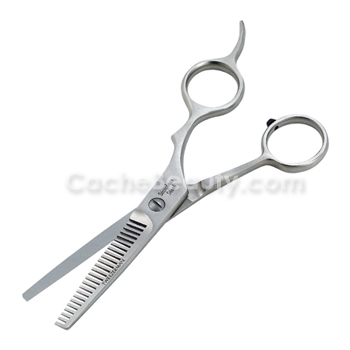 This shear is unlike other shears. You have to use one to appreciate it. almost silent. Completely polished. Blade finely corrugated. Each shear is precision slotted and notched. 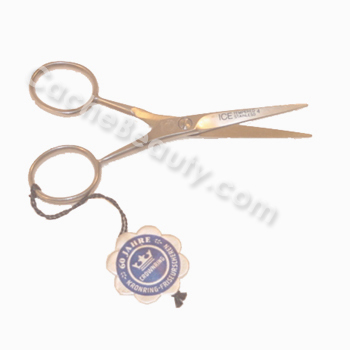 Each shear is guaranteed against defects in material and workmanship. 46 teeth--Each tooth is hand notched under a microscope. Each shear is tested to assure perfect cutting before leaving our factory. 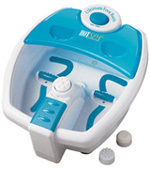 The fine teeth on one blade eliminates cut lines and steps. 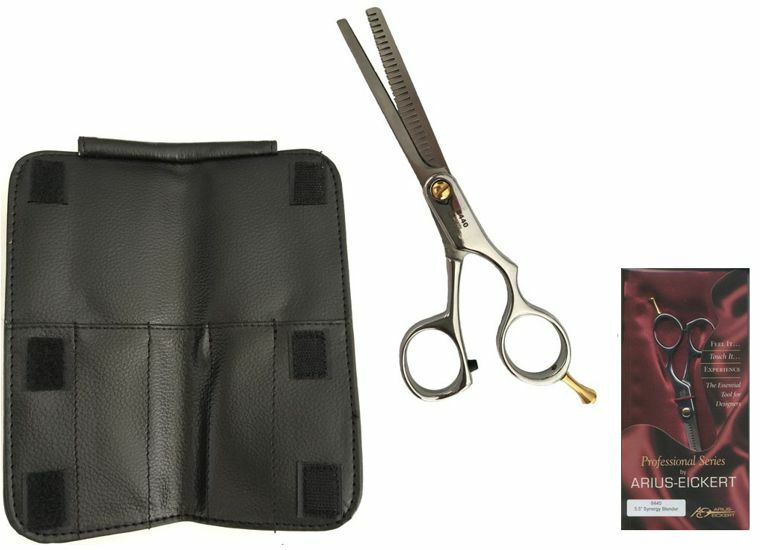 Included is a black vinyl pouch that holds up to 2 shears and has a velcro closer. Warranty Registration Card and Warranty Repair Form are included with blender. Try Squizr and see why it's the nail wrap tool you just can't help squeezing. 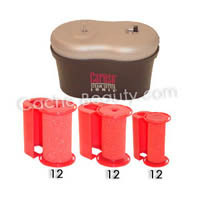 Its ergonomic design lets you cut all types of fabric wraps with precision and comfort using just a squeeze. Control over intricate cutting. Because there are no finger holes, you can position either hand very close to the nail, giving you total control. 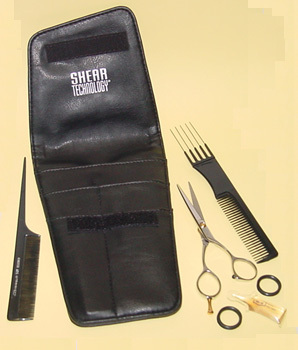 * Holds shears, combs, clips and more ! 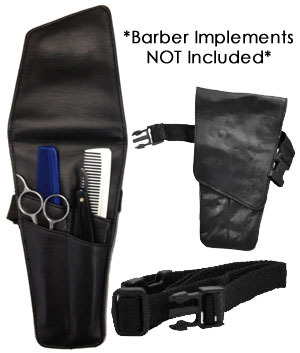 * Detachable Belt Length: 40"
Note: Combs, Shear and Razor in picture NOT included ! 5-Tooth Finishing Texturizer gives hair visible texture, support, movement and volume. 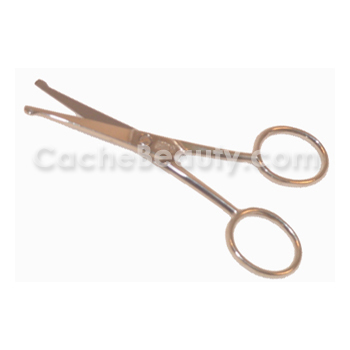 * Inside Diameter - 3/4"
Tweezerman Corporation's Personal Care Tools have long been recognized in the beauty industry for surpassing the normal standards of quality, reliability and service. Tweezerman has received the H.I.P Spirit Award for extraordinary customer service, employee empowerment and community involvement and the Long Island Families First Award for its commitment to its employees. 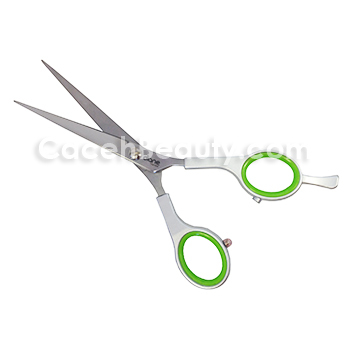 High performance professional haircutting shears without the usual high price. Hand finished in the USA and made of first quality, ice tempered, stainless steel to create extra sharp long-lasting cutting edges. 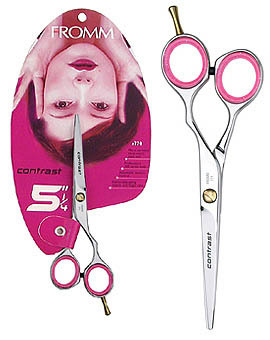 These precision shears are hand-crafted for optimum control, balance and comfort. 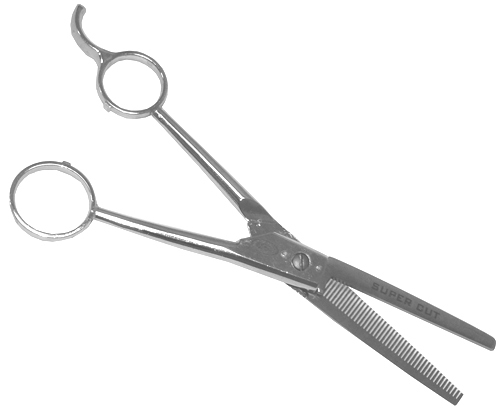 Sharp, hand-finished thinning shears with long-lasting cutting edges are designed for optimum results. 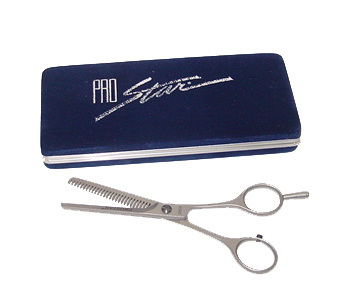 Their razor-sharp precision and smooth cutting action reduce hand and wrist strain. 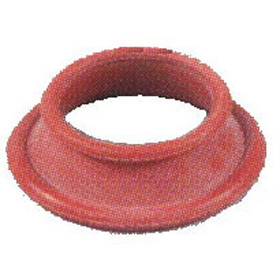 Advanced ergonomics and rounded finger loops provide excellent balance, comfort and control.